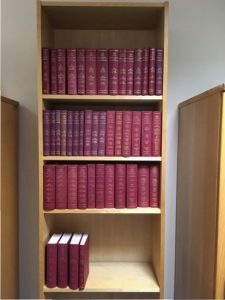 **Update – we invite donation offers for this collection to be submitted by midnight on Monday 3rd December. Offers will be in strict confidence and the winning donation will be notified on Tuesday 4th December. Offers should be made by email to kate.thomson@moredun.org or by post to Kate Thomson, EGSF, The Moredun Foundation, Pentlands Science Park, Bush Loan, Penicuik EH26 0PZ. We are looking for offers around £500 but you can bid any amount. Winner to collect or arrange delivery. The winning donation will not be eligible for Gift Aid. 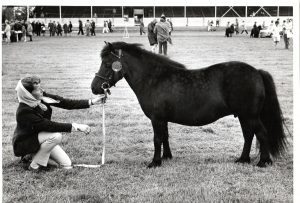 A rare oportunity for a Shetland pony enthusiast to acquire the private collection of Shetland Pony Stud books belonging to a renowned breeder of many champion Shetland ponies. 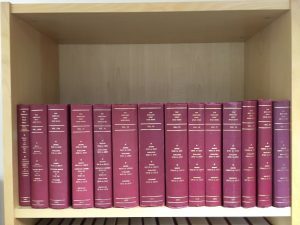 These 45 volumes are in excellent condition and cover the years 1967 to 2011. They are for sale as one collection. 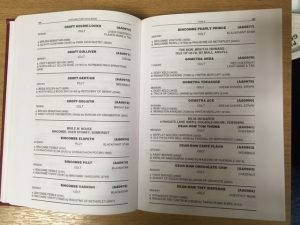 The collection belonged to the late Marjorie Martin (née Sleigh), who was instrumental in establishing the Wells stud, one of the best in the UK since the 1950s, and went on to set up her own stud, Westpark, the breeding from which can be found in many bloodlines today. 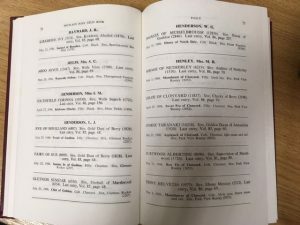 The Sleigh family have decided to donate the proceeds from the sale of Marjorie’s personal collection of stud books to the Moredun Foundation Equine Grass Sickness Fund, who are undertaking vital work to discover the cause of grass sickness, a means of preventing the disease, and further improving the treatment of chronic cases. 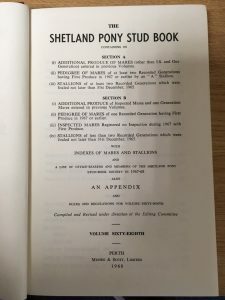 The stud books – comprising 45 volumes from Vols 68 to 112 – are in prime condition, and present a fascinating piece of Shetland pony history.